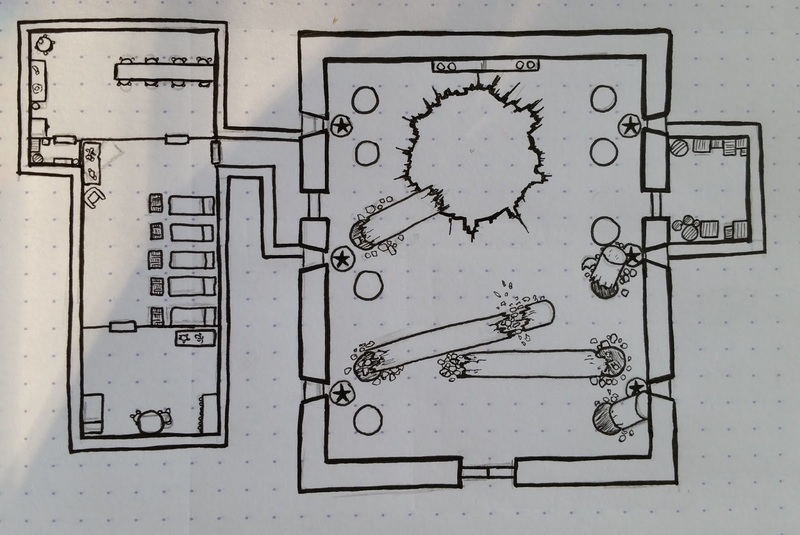 So the next #Mapvember suggestions are "descent" and "landing". 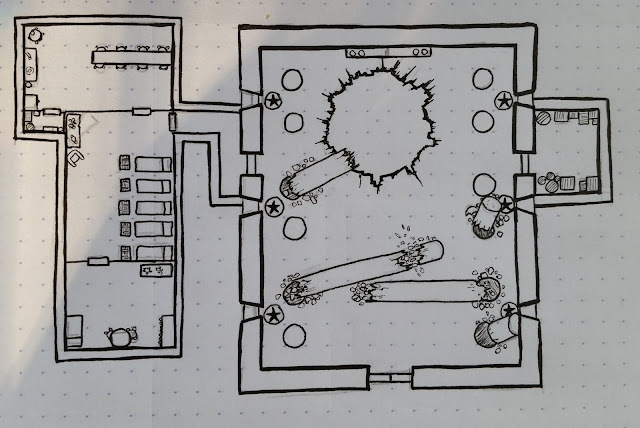 Because there's no way I'm going to get through all the maps doing them one at a time, I'm doubling up by incorporating two cues in a single map. This is the partially completed "Descent" portion. It's another abandoned temple, but this time it is pretty obvious why it was abandoned. (Hint: it has to do with the gaping hole in the floor). What caused the hole? That is the "landing" portion! 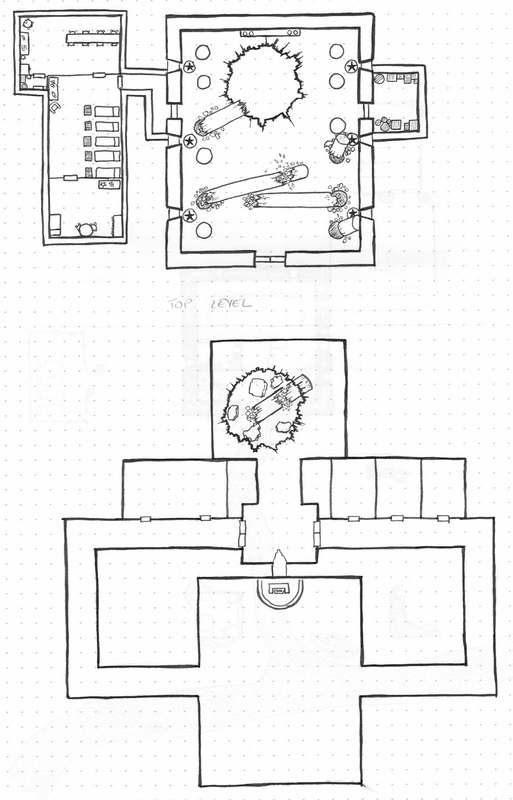 Update: I've got the bottom half of the temple sketched out.